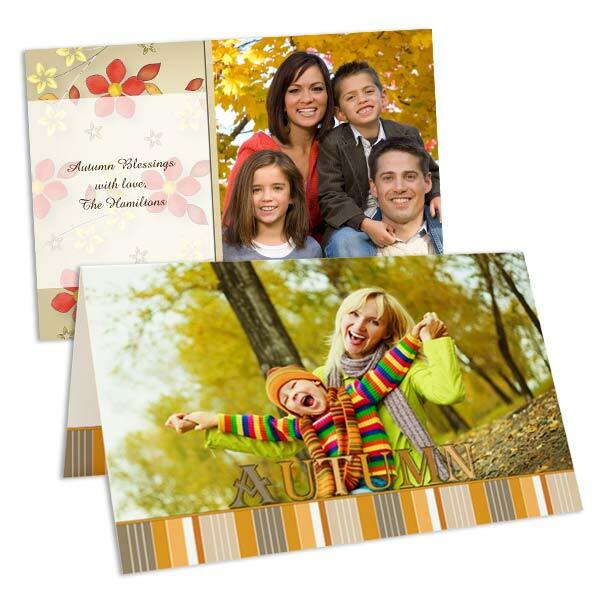 Share your Autumn memories with friends and family in Fall Photo Cards. Share a trip to the park, or show off the fall leaves in your yard. Fall greeting cards are a great personalized way to say hello and share your most recent family stories. If you are planning a fall festival, create a custom invitation for the event themed for the occasion!